I have loved making books since grade school! It is a beautiful and empowering art form. They are vessels that carry your spirit. I learned more refined techniques of book construction and design at the Corcoran College of Art and Design. I enjoy the community and companionship of fellow artisans at the Virginia Arts of the Book Center. 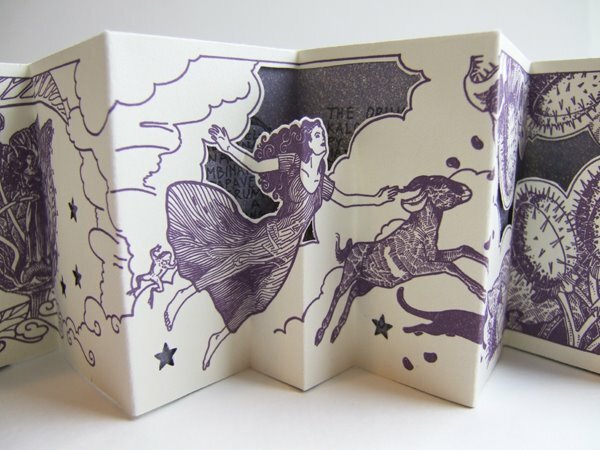 Belladonna flies high in the sky with her familiars. 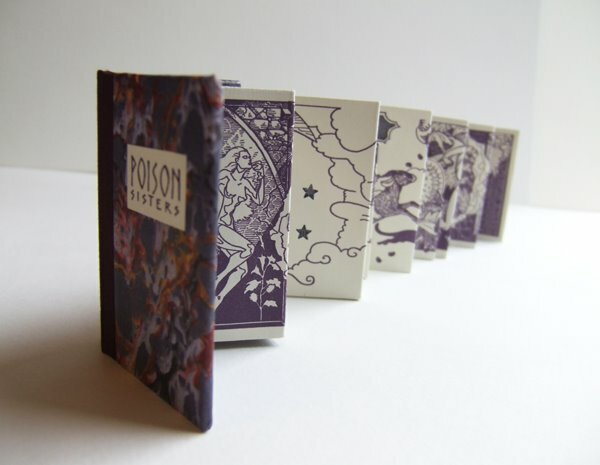 Poison Sisters is a miniature pop-up book that is 2" x 3" but contains a dreamscape full of magic! 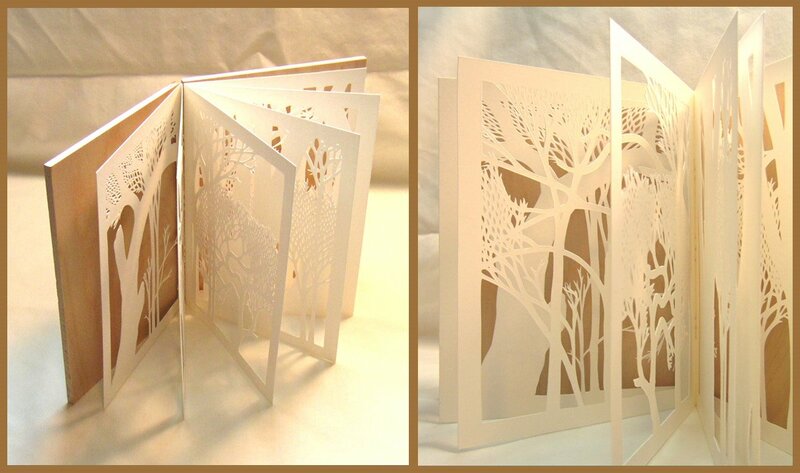 Arbouricon I is a one of a kind artist book constructed from meticulously hand cut paper and oiled wooden book covers.